This section of our website is devoted to our students as a troubleshooting guide for their Krav Maga training. 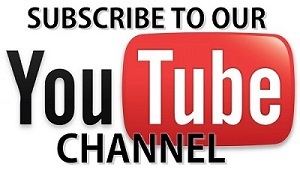 Join our email list to be informed of new videos and updates. Email us at Info at KravMagaTraining.com with ‘subscribe’ in the subject line. Solutions to common beginner mistakes. Answer frequently asked questions from students. Address other training issues related to Krav Maga and self defense training. The video links below are NOT a replacement for actual instruction. They do not teach techniques, but instead isolate and fix problems within the technique or its individual components. The videos are designed to help the student who has already learned the technique under the instruction of a qualified instructor. Important Note: These videos are specific to the techniques and curriculum taught to the students at our facility. Students from other Krav Maga schools and organizations are more than welcome to watch and use these videos and we hope they find them useful! However, variations may be taught that are different from the techniques taught at other Krav Maga locations. This doesn’t mean one variation is wrong or the other is right. They are just variations…plain and simple. The most important question for any technique or defense should be this: Does it work for the individual who is performing it? As long as it does, then the technique or variation has merit, regardless of where it comes from! That’s the number one principle that we emphasize at our school. Towards the bottom of this page is a section with links to Krav Maga articles primarily oriented on how students can get the most out of their training.